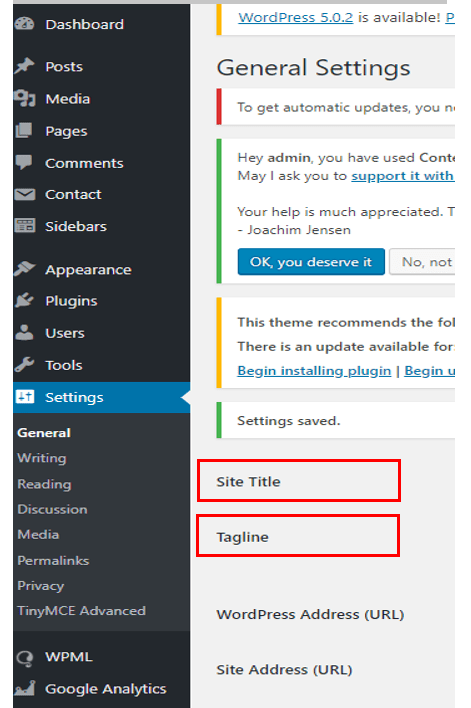 How to change site title in WordPress? Changing the title of the website (and the tagline associated to it) is one of the first steps in the process of customizing a newly built website or blog. Why is title important in a website? It increases relevancy of the website content to users. Due to the site title, visitors can easily understand what the website is about, and they know what to expect from browsing its pages. If it increases relevancy for users, it also increases relevancy for search engine bots. Depending on the quality of the title (e.g. inclusion of a keyword might be a sign of quality), search engines might decide to rank the website higher in search engine results pages. Also, a good title increases the click-through rate (clicks for opening the website link) in search engine results. It reinforces the power of the brand. Together with other elements in the website, the title can give force of expression and define the personality of the brand. Both concise and eloquent, it directs users towards further browsing the website pages. It arouses interest in the website content, and it has to make a very good first impression. What is site title and where does it appear in the website? The title represents the name of the WordPress site/blog/online shop. Together with the tagline, site title has the role to define site identity through text. Briefly, you need to change the defaults with optimized title and tagline. Here’s how to make these changes. Log in to the WordPress Admin Dashboard with the username and password you set for the new website. In the left-hand menu, go to Settings -> General Settings. The site title or site name is a short text that’s representative of your website. With just a few words, you can sum up what makes your website and business different, and how they’re unique. 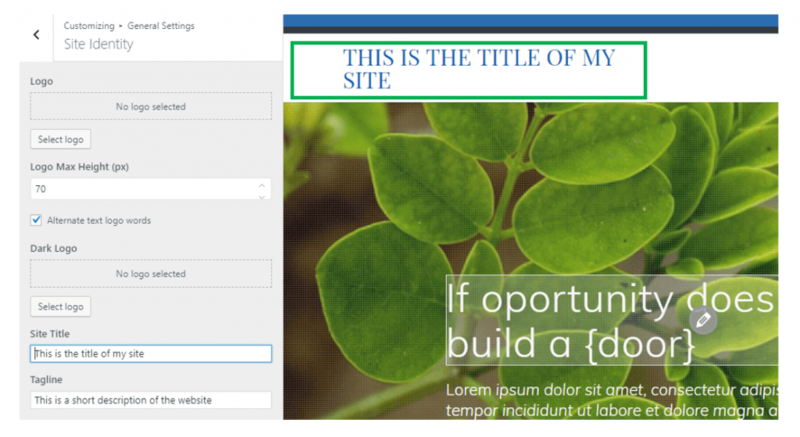 Fill in the corresponding field with a site title of your own. It needs to be carefully crafted, as it will be users’ first point of contact with the website content. Additionally, you might fill in the blanks with a customized tagline, which is a little more detailed description of your website. In the WordPress Admin Dashboard, go to Appearance in the left-hand menu. Next, go to Customize. 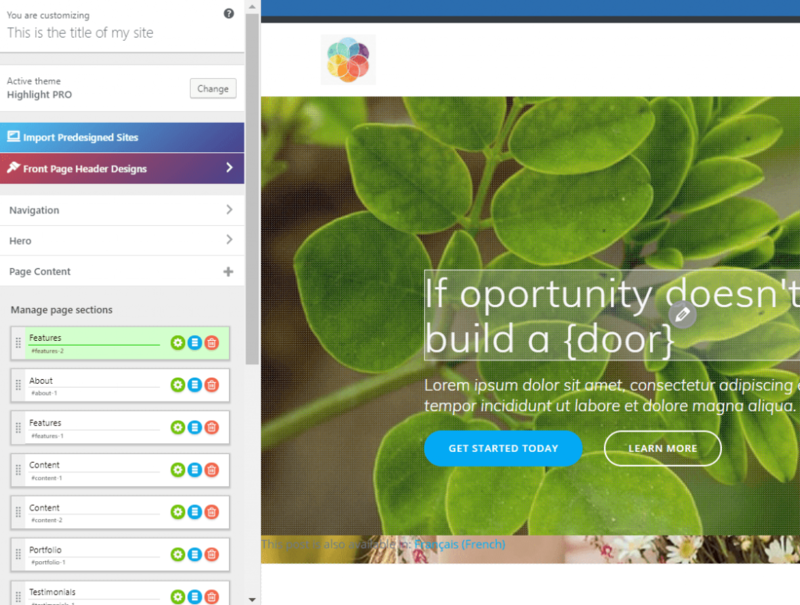 Access the Customizer of the theme you installed for the new website. Go to General Settings -> Site Identity. From this subsection, you can customize the site title and tagline. Fill in the blank spaces with the site title and tagline of your own. One note: you might be as creative as you like, in composing your title and tagline. The more you go creative in crafting these short phrases, the likelier it will be you’ll attract visitors to read more and discover more of your website. This means relevant traffic to the website. Here are some examples of creative taglines used by companies in different industry areas. How can the site title be optimized? Use keywords in the site title. It’s important to integrate relevant keywords in the site title and tagline. This is the place you should benefit from to use the main keyword representative of the whole website. Use the keyword once, and add context to it, accordingly. Try to use semantically related keywords, so the main keyword should have more weight for search engines. It’s useful to have the main keyword in the site title, however, don’t overuse keywords. Otherwise, too many keywords in the site title will be considered as spam. 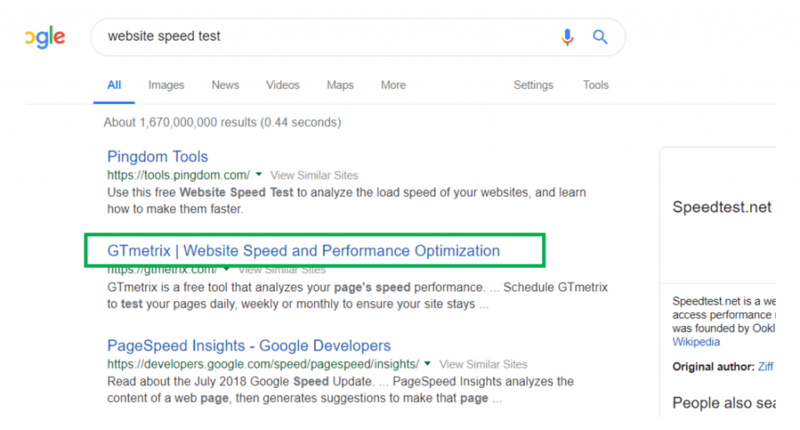 This might result in your website being penalized by Google. The best way to avoid keyword stuffing is to make sure the site title has the coherence of a phrase. Instead of enumerating key expressions, you have to ensure this title is an explicit sentence that sets users’ expectations correctly, right off the bat. Place the keywords at the beginning of your title. It’s recommended that you place your main keyword at the beginning of the site title. This is a signal that your title focuses on the expression best defining your activity. Also, by its placement, the keyword will be the first element search engine bots crawl in the source code of your website. So, think of formulating the phrase in such a way that it emphasizes the main keyword corresponding to the website pages. Give the title an optimal length. You should pay attention to the length of your title. If it’s too long, it will be “cut” by search engines and it won’t display properly in search engine results. As a result, this area won’t be fully used to transmit to visitors what’s important about your website. If it’s too short and only consists of an expression, it will not explain enough to visitors what the website is about. 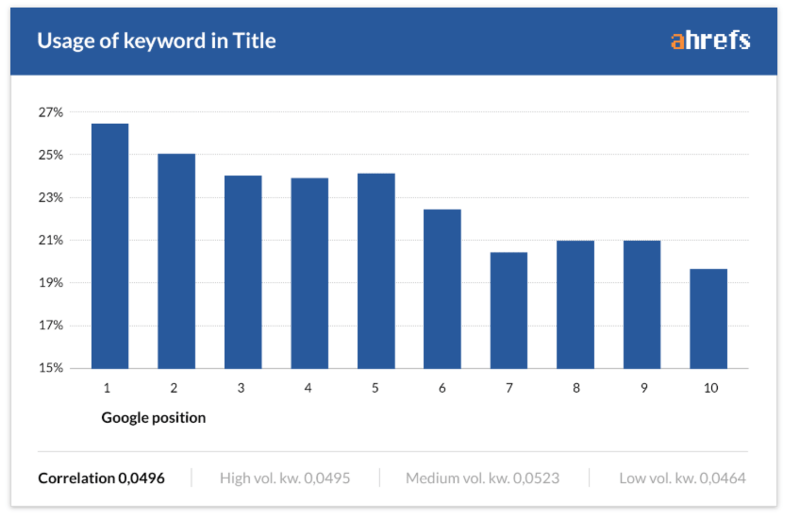 According to SEO rules, the website title should not exceed 70 characters-length. This is the maximum you can extend the title to and ensure web surfers fully visualize it in search engines results pages. Differentiate between the title of your homepage and the titles of all the other pages. 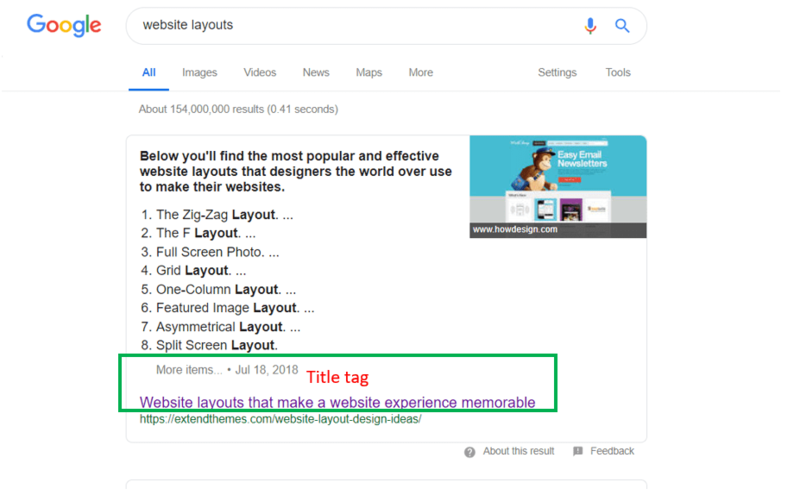 If you really want to benefit from optimized titles, you should think of customizing them for every page in the website. So, make unique page titles for all pages in the website, and differentiate them from the main website title (that appears for the homepage). In this way, every page will have its corresponding title. It’s a good place where you can use a keyword that sums up what that webpage is all about. Also, creating different titles for different pages, you avoid duplicate content that’s penalized by search engines. Do I need to brand the site title? It might be of use to include the brand name in the title. However, do it carefully and place (if possible) the brand name at the end of your phrase. Also, Google might automatically add the company name at the end of the sentence which represents your title. This branding element makes the title easy to be recognized as belonging to your website and company. It ensures your website is remembered by visitors, so they can easily come back to your pages. Besides formulating a website title, you can also add other customizations that shape the website identity. A favicon is an image representative for the website, that users will see in the browser tab where they open your website pages. It should be carefully chosen, and it has to be easy to associate with the specificities of your website/business. Due to a favicon, the website will be recognized quickly and remembered as simple as that. For a more professional look of the website, you might consider including an image logo. Together with the site title, the company logo will speak volumes about your business and its value on the market. Together with a site title and a logo, a professional color scheme will help your website stand out from the crowd. All these elements should be tweaked and refined until they best represent your business and brand.